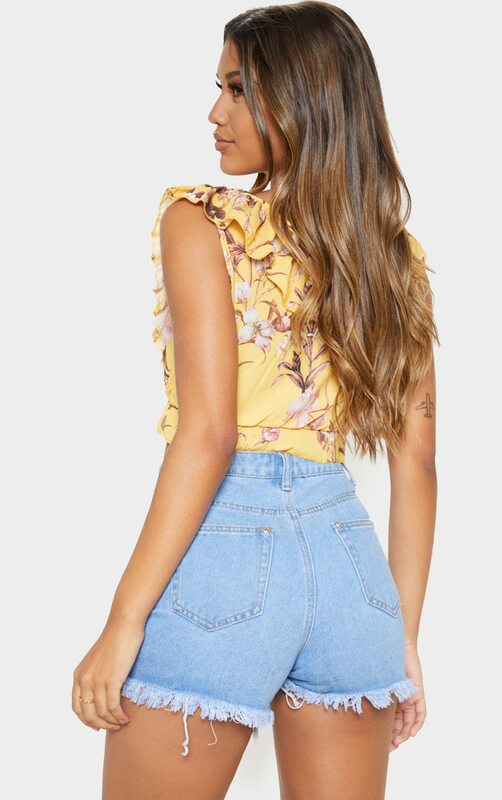 Add some prints to your wardrobe with this totally cute cropped blouse. 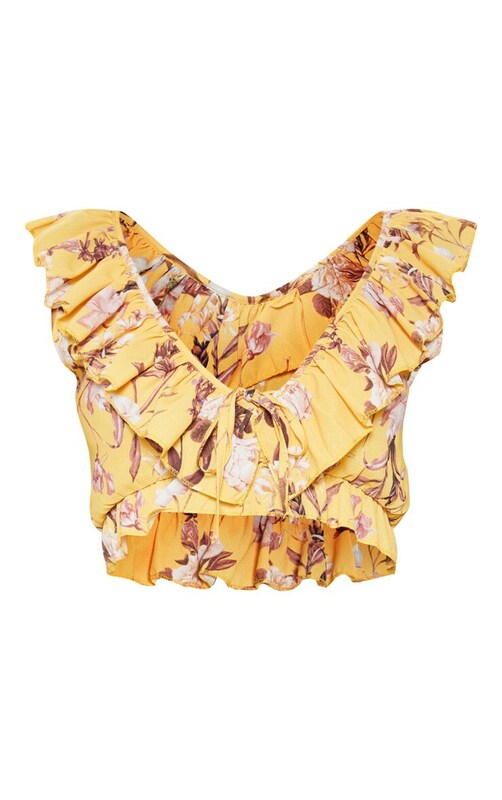 Featuring a yellow hue fabric with an oriental rose print, plunge neckline and frill detail, what's not to love? Style with high waisted denim shorts, chunky sandals and layered necklaces for a look we're loving.